Elgato has just unveiled its latest smart product, the Eve Degree - a smart sensor for keeping track of temperature and humidity levels in your humble abode. 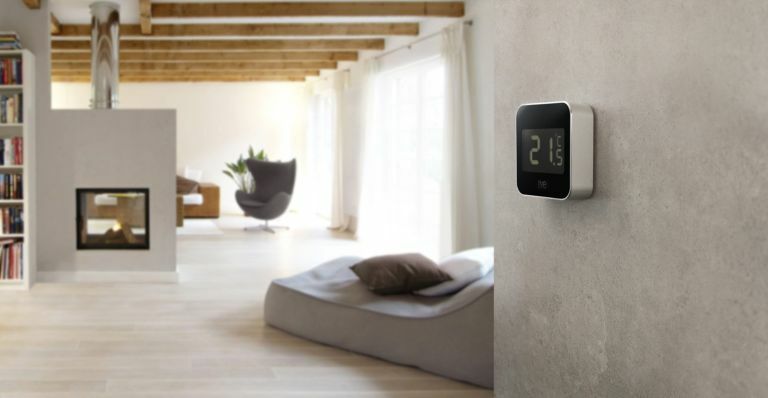 Boasting a large LCD screen, an anodised aluminium body and an array of finely-tuned sensors, the Eve Degree is a great way to start tracking how warm or cool your home is without breaking your bank balance. There's also a bespoke Eve app which provides a handy way to review temperature and humidity data collected in your home. If you're looking to get the temp just right in a certain part of your home, this little app is a really helpful way to make the right adjustments. The Elgato Eve Degree also comes with a long-lasting replaceable battery so it'll give you plenty of service before it needs changing - a life cycle made all the more longer by a low energy Bluetooth technology for direct communication to your iOS device of choice. The new Elgato Eve Degree will have a suggested retail price is £59.95 (inc VAT), and is available to pre-order from Amazon or direct from Elgato now - it will officially go on sale from 7 June. Are you still gaming at that paltry old wooden desk? It's time for an upgrade, and Aerodesk has just the one for you. Designed by the same man that shaped the First Class lounge at Heathrow's T5 terminal, the Aerodesk Gaming Desk is practically bursting with features. It boasts a special LightBar which can recreate daylight through its 5,500 Kelvin frequency, a sub woofer Soundbar and two cup heater/cooler spots. It also has two USB plug points and two Qi chargers while providing the best of both worlds in terms of sitting or standing vantage points for ardent gamers. Utilising hydraulic legs from celebrated Danish manufacturer Linak, the desk can move up to a height of 1365mm and glide down to just 695mm - not only enabling you to sit or stand (if that's how you like to game), but also providing gamers with accessibility issues the power to adjust their desk to suit their needs. The new Aerodesk Gaming Desk will be priced at £5,295. For more info, head on over to aerodesk.co.uk. Mitre, match ball of choice for the English Football League for over 40 years, is ready to make history again with the return of its iconic Delta trademark. Redesigned, reinvented and rejuvenated, the Delta is back as Mitre’s new official match ball for the EFL and SPFL, engineered for optimal control, accuracy and power. Last seen on English football pitches in 2001, its return means that a new generation of players can now have their first football experiences with a brand new ball with the same legendary trademark. The ball features brand new technology including a textured surface for instinctive aerodynamic control (as well as added embossed grooves, which provide up to 400% more stability at speeds of 30 – 45 mph as well as greater accuracy vs a flat panel construction of the same ball). The Delta (£115), Delta Replica (£12) and Delta Replica Mini (£7) will be available for purchase from 1 June exclusively through Pro:Direct Soccer for the first two weeks of sale.